LARGE CORNER PLOT! SOLD WITH NO VENDOR CHAIN HOME ESTATE AGENTS are proud to offer for sale this much cared for three bedroom semi detached house which is being sold with no vendor chain. 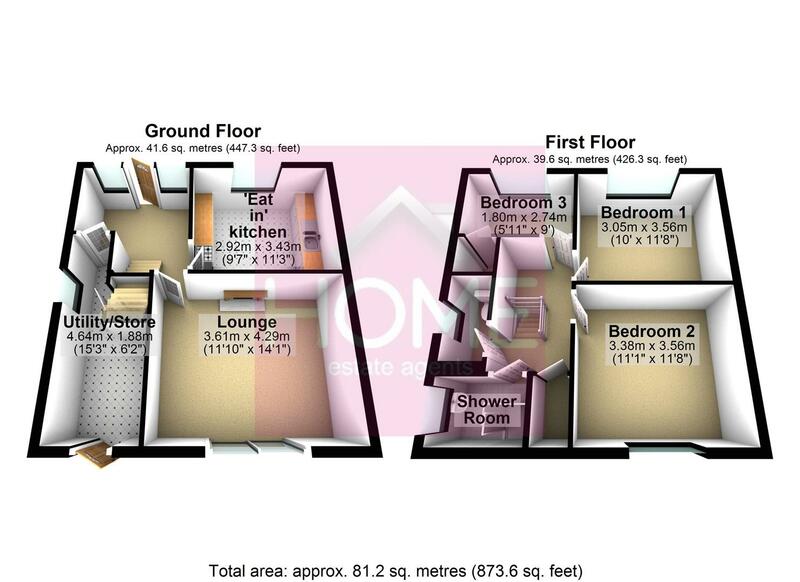 Due to the size of plot there is genuine potential to extend subject to obtaining the required planning consent. In brief the accommodation comprises welcoming hallway, lounge, fitted ‘eat in’ kitchen, utility room/store room, shaped landing, three well proportioned bedrooms, two piece shower room & separate WC. The property is warmed by gas central heating & warmed by gas central heating. Externally there are generous gardens to three sides & a driveway providing ample off road parking. Ideally placed for the well regarded schools & amenities. To book your viewing call HOME on 01617471177.
uPVc double glazed door to the front with diamond leaded glass. uPVC double glazed windows to the front with opaque and diamond leaded glass. Radiator and stairs to the first floor. A range of matching fitted wall and base units with a rolled edged worktop over. A single unit sink with mixer tap, splash tiling and television point. Display cabinet, space for appliances. uPVc double glazed window to the front and radiator. uPVC double glazed patio doors giving access to the rear garden. Brick effect fireplace with wooden top, tiled hearth and brass back housing a living flame gas fire. Coved ceiling, ceiling rose and radiator. uPVC double glazed window to the rear. Radiator and built in storage cupboard. uPVc double glazed window to the front, radiator and built in storage cupboard. uPVC double glazed opaque window to the side. A two piece suite comprises wash hand basin and large shower cubicle. Tiling to compliment, wooden effect floor, ladder radiator and storage cabinet. A low level WC. uPVC double glazed opaque window to the side. Tiling to compliment, wooden effect floor and radiator. To the front of the property there is a paved driveway accessed via wrought iron gates. There is also a lawned garden and access to the side where there is a further lawned garden To the rear there is a lawned garden with mature beds. Due to the size and nature of the plot there is genuine potential to extend subject to obtaining the required planning consent.